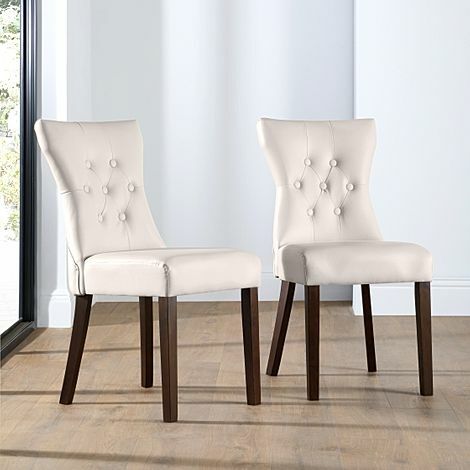 Whether you're just buying two light leather dining chairs, or going for a contemporary makeover with a full dining set, you'll find unbeatable value at Furniture Choice. 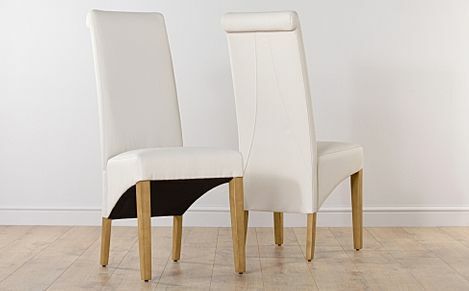 Stylish and chic, ivory and cream leather dining chairs are a great way to brighten up your dining room. 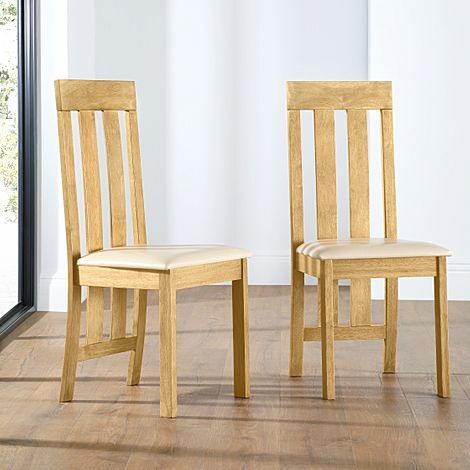 With our broad range of styles - traditional to modern - and our fast and free delivery to most of the UK, shopping online for your dining room furniture has never been easier. 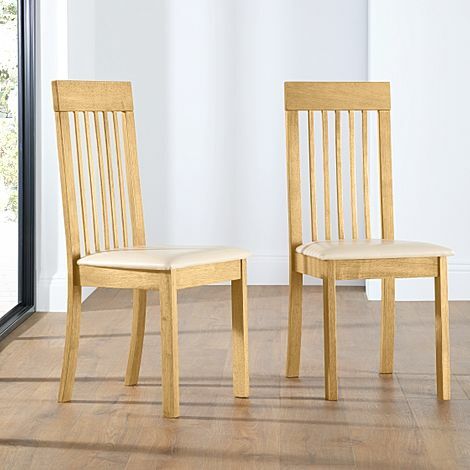 Our wooden chairs come in both natural oak and dark wood finishes to easily match your existing decor. 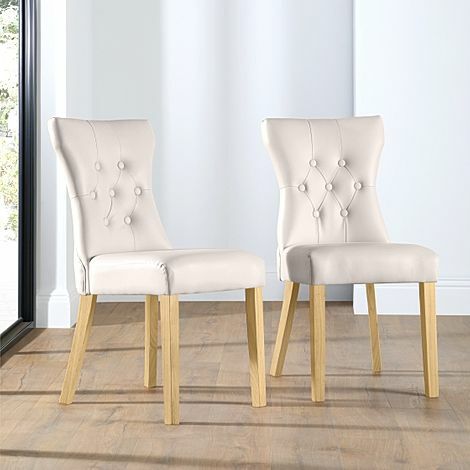 So whether you're looking for a classic wooden legged cream leather dining chair, or a more contemporary take with chrome legs, we've got you covered. Our leather dining chairs are upholstered with soft to the touch, highly durable leather that does not stain easily and will keep its distinctive colour over time. 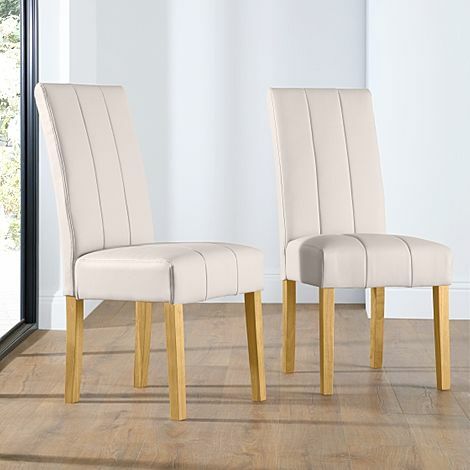 Whether you're buying a pair of cream leather dining chairs, or giving your room a full makeover with one of our complete dining table sets, you'll find amazing value at Furniture Choice. 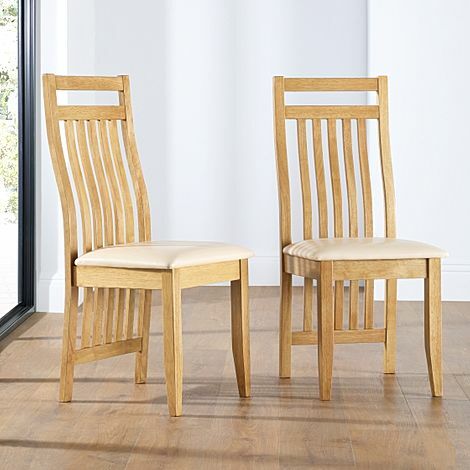 Once you've chosen your new set of dining chairs, pick your payment option and select a delivery date at checkout, your chairs will be with you in no time.